Broken Cell Phone? We fix them! 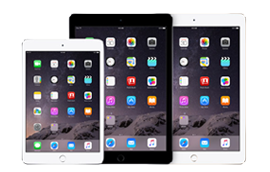 Since 2010, JS Information has been offering tablet and cell phone repair services in the Greater Moncton Area for Apple, Samsung and other popular brands for mobile devices such as : iPhones, iPods, iPads, MacBooks, Samsung Galaxy Smartphones, Samsung Galaxy Tablets, etc. We routinely receive calls from people wanting their cell phone or tablet repaired the same day and understand this urgency. Don’t wait, give us a call and let us help you get back on track with your mobile device. (cell phone, tablet, MacBook, etc.). Because At JS Information, we help you crack a smile by fixing your cracked devices. 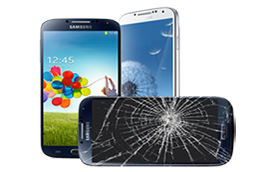 Not only do we fix broken screens, we also help our customers by providing extra protection. 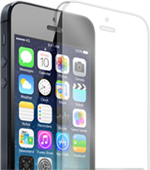 At JS Information, we offer a FREE tempered glass protector with any iPhone screen replacement. 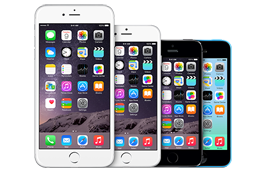 Stop by today to get your iPhone screen repaired and receive a free tempered glass protector. Apple & Samsung Mobile Repair. Affordable and reliable quality repair services. We have a no fix, no charge policy. 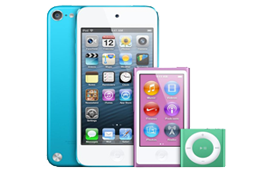 We repair iPod Touch & iPod Nano. 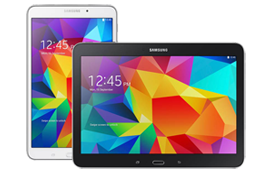 We repair Samsung Tab 2 (10.1″), Tab 3 (10.1″), Tab 4 (7″/10.1″), Tab A (8″/9.7″). We repair Samsung Galaxy smartphones such as : Galaxy S4,S5,S6,S6 Edge,S7,Note 3,Note 4, Note 5. 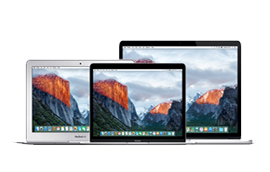 We can repair any issue with any Macbooks, from older Macbooks to the new Macbook Pro and Macbook Air models. 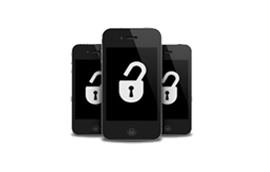 We offer iPhone unlocking services for the Greater Moncton area. Process time for unlocking is about 12-36 hours. Just when I thought I had to spend a lot of money for a new phone or get it repaired because my LCD & digitizer were broken, I was referred to Jason by a friend. Thanks to his flexibility, I got my phone repaired a couple hours after I contacted him. It took about 20 minutes. Absolutely amazing service and I feel like I have a brand new phone for a totally reasonable price! Excellent service. Broken screen on Iphone repaired in 25 minutes. Texted and was able to have it fix the same day. Jason was Very knowledgable and friendly. Would definitely recommend to anyone. Awesome service, good knowledge about phones and techniques very experienced. Even gives a warranty with screen replacement,highly recommended! When i thought I had to spend a large amount, I found Jason. He does excellent work and very informative,fast and efficient. Very efficient and effective in fixing my iPhone 6 screen. 100% likelihood to refer to anyone who asks. Will definitely be using him again for any repairs in the future. Great, quick and reliable service. I was amazed at how quickly my phone was fixed and equally amazed at the affordable rates! Absolutely excellent and fast service, polite, efficient and knowledgeable. Totally happy. Great guy, very professional, knows his stuff and offers free estimates! I loved the fact that they explained what was wrong with my devices and showed me what they were doing. It was more affordable then most other places as I did quite a bit of research. Extremely knowledgeable with the Apple products, Thanks again! My son’s iPhone 5 had a cracked screen and broken power button. A friend attempted a repair but only made matters worse. I contacted JS Information and was impressed with their quick response and willingness to offer a fast turn around time on this repair. We received the phone back very quickly and the quality of the work done was amazing! My son’s phone looks like new, I would highly recommend JS Information to anyone in need of iPhone repairs. Their fast, friendly customer service, reasonable rates and professionalism gives them a 5-star rating in my books. My only regret is NOT sending the phone to them first, Thanks! Not only was Jason very responsive (responds to messages in under an hour, but most often within minutes) he was very knowledgeable and explained things to me about the repair job. My daughter’s phone was in pretty bad shape and he made it look almost like new again. Thanks so much for being so easy to deal with. A++ service! Jason is very knowledgeable, professional and efficient! He fixed my daughter’s iPhone headphone jack and offered great service, Thank you! Quick, professional install and very easy to deal with. Will be back for sure!